No problem! Following the launch of Windows 7 on 22 October 2009, Asus has revised its entire Eee PC range. 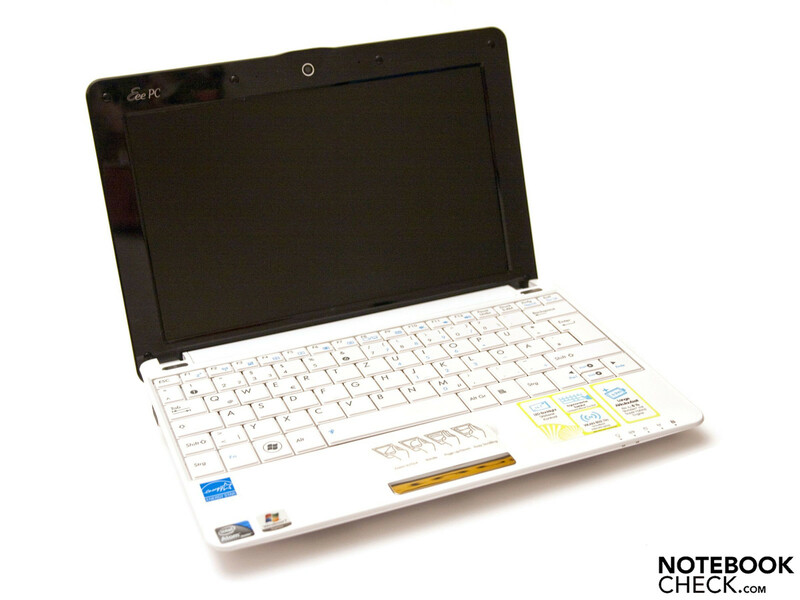 The Eee PC 1005HA-M is a 10.1 inch netbook, designed to impress with its long battery life of up to 8 and a half hours. We took a careful look at the 1005HA-M to find out what has changed along with the operating system. 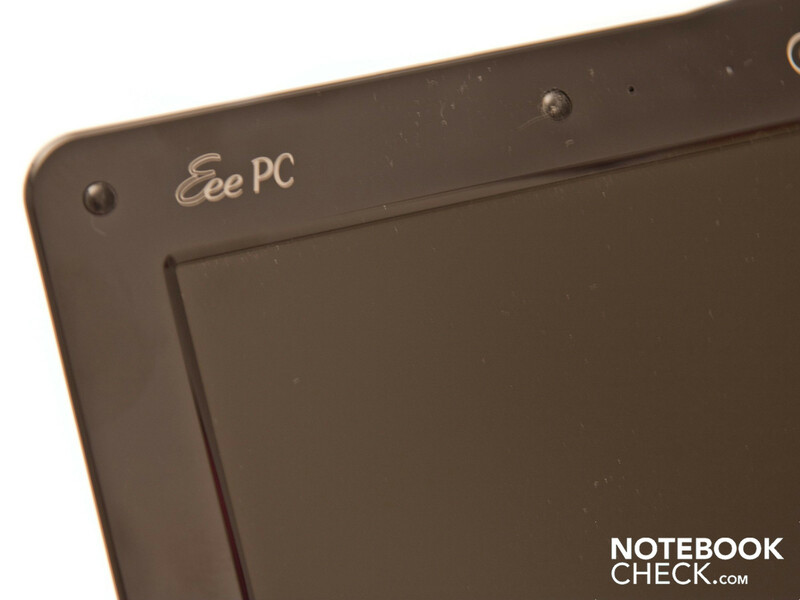 The initial flood of Eee PC models has abated, with Asus trimming its range down to seven lines, with several models in each. Most models now differ from each other in several respects. So there are various screen sizes (8.9 to 11.1 inches), different processors (Intel Atom N270, N280 and Z520), different memory capacities and a range of designs. 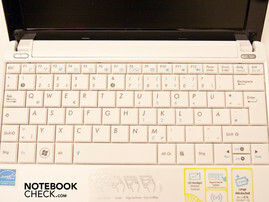 Prices start at 279 Euros for the Eee PC 1005HA-M without Windows 7, and go as high as 446 Euros for the Eee PC T91. 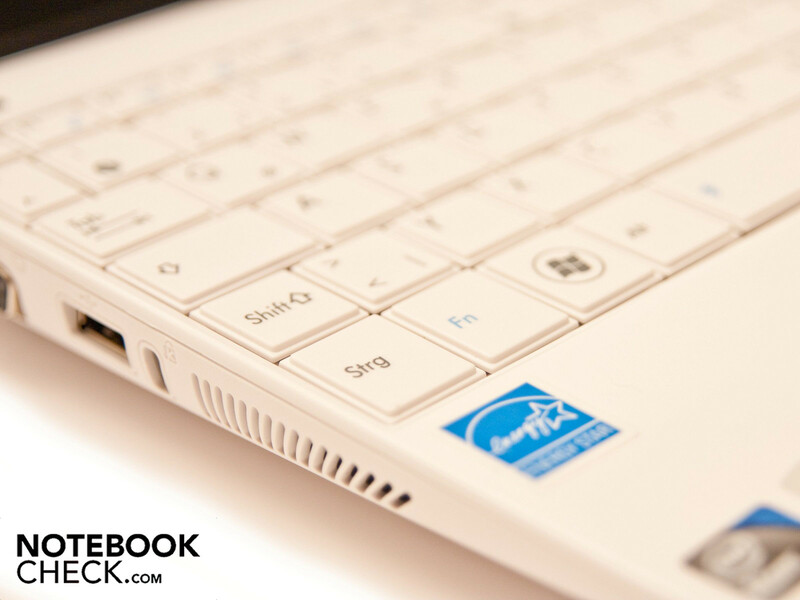 Our test model, the white Asus Eee PC 1005HA-M, comes with a 10.1 inch screen (matt, 1024 x 600 pixels), an Intel Atom N270 processor (1.6 GHz), 1 GB of RAM, a 160 GB hard drive and the Windows 7 Starter operating system. The price was 299 euros (RRP including tax). 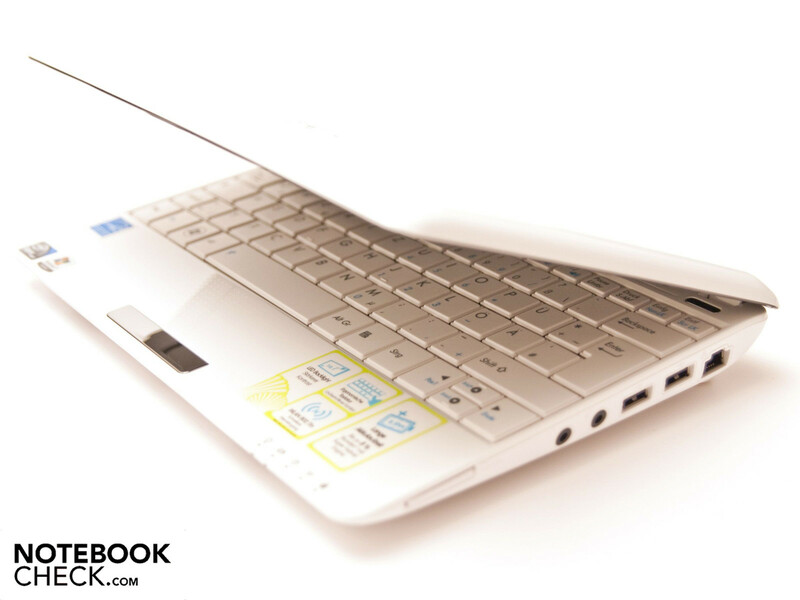 We examine whether the netbook measures up to its predecessor in this review. 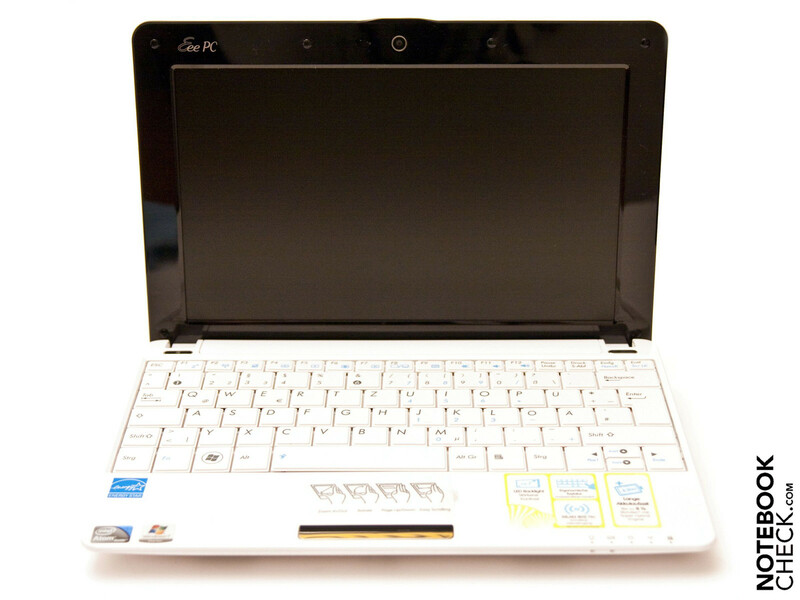 The Eee PC 1005HA-M is only available in black and white, whereas the previous version also came in extravagant blue and pink varieties. We bagged ourselves the white model and gave it a careful looking over. The casing is convincing with its smart, elegant and timeless design. The workmanship seems to be of a very high-quality, with no flaws visible in the case or its finish. Asus has opted for a plastic case, with cost certainly playing a role in this decision, but thanks to the good workmanship and finish this does not count against them. The black version does tend to pick up smudges and fingerprints, as most of the case has a high-gloss black finish. The advantage of the white 1005HA-M is that such marks hardly show at all. The case is pretty robust, despite its light build. 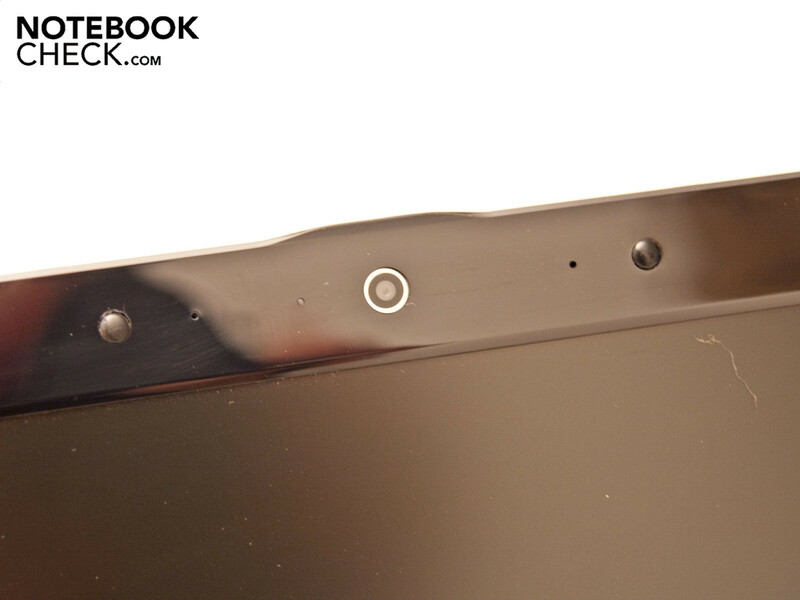 Both the top and underside of the laptop show good resistance to pressure, starting to flex only under excessive force. However the lid is not especially robust. When grasped it does seem to give way a little, and pressure causes wavy distortions to appear on the screen. The lid's hinges are well-made, but sit a little too loosely. You can't help wondering whether they will loosen up even more over time and begin to move too freely. They do not look particularly robust. Asus dealt with this issue better on previous models. Also, the lid cannot be lifted without holding down the base unit to stop it from lifting off too. 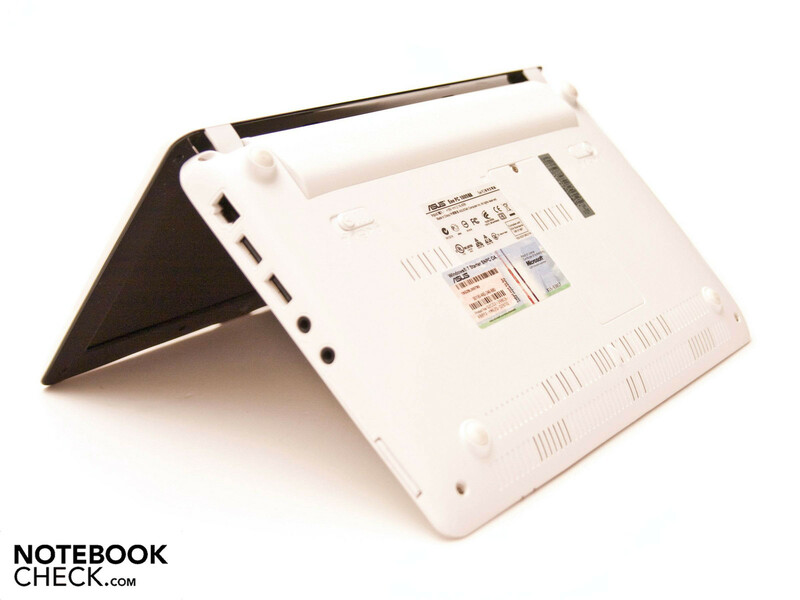 The netbook weighs only 1.28 kg thanks to its slim form of 262 x 178 x 26.5 - 35.5 mm. If you compare the case of the current model with that of its predecessor, there look to be no changes, the only difference being the choice of colours. 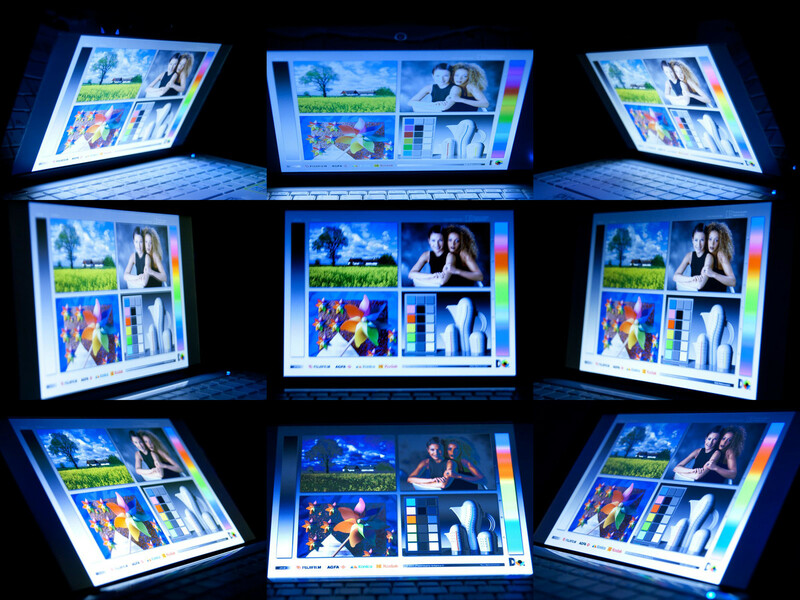 The Windows XP version was available in black, white, blue and pink, but Asus has now restricted this to black and white, probably because the blue and pink varieties did not have many takers in the German market. The selection of ports on the current model is the same is on the previous version. On the left side of the netbook is the socket for the mains adaptor, a VGA connector, a USB 2.0 port and the Kensington lock slot which can be used for securing your netbook against theft. The VGA output allows you to connect to external monitors and compatible flat-screen TVs. The remainder of the ports are housed opposite, on the right-hand side. There are two further USB 2.0 ports for peripherals, a RJ-45 network port (10/100 MBit Ethernet), the audio ports (headphones and microphone) as well as a 2-in-1 card reader which supports SD (SDHC) and MMC memory formats. 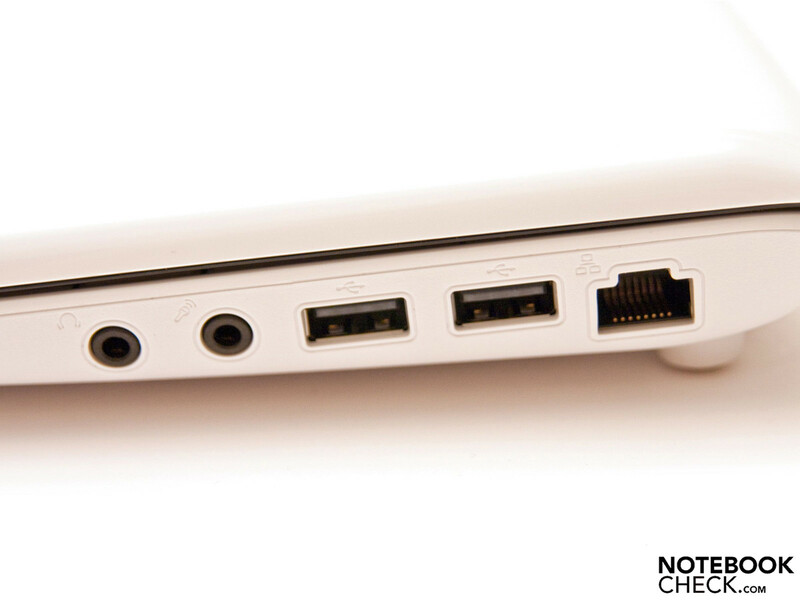 The front and back of the netbook have been left clear of any ports. The tapered design leaves no room for ports on the front, and the back is occupied by the 6-cell battery. On the front edge there is just room for the two stereo speakers. The layout of the ports is practical. The USBs are not too close together, so you could easily plug a couple of memory sticks in next to each other. As the choice of ports has not been extended on this Windows 7 model. 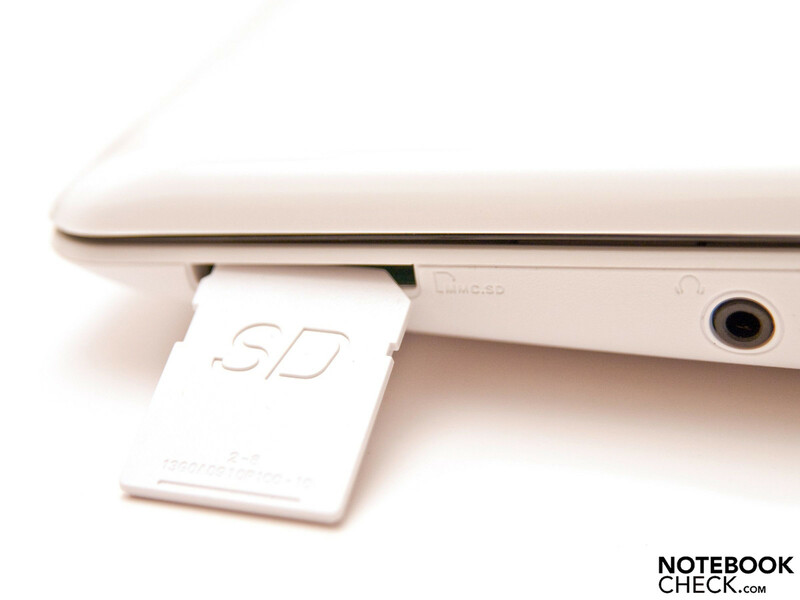 As before the integrated card reader can only support SD (SDHC) and MMC. We would have preferred to see to see a card reader that supported more formats. 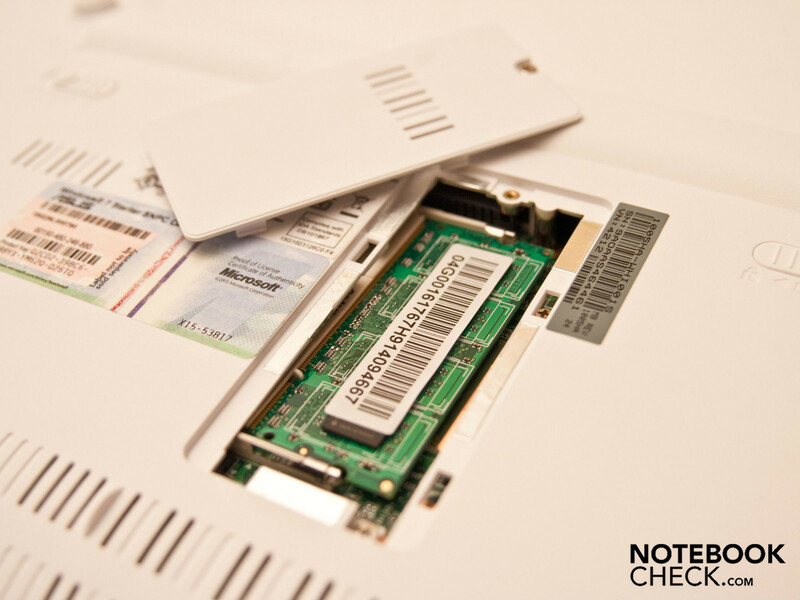 As well as the Atheros AR8132 Ethernet module, the Eee PC comes equipped with WLAN n standard 802.11 a/g/n (Atheros AR9285). Bluetooth is not included in this inexpensive 1005HA-M, but for about 50 euros more you could get the 1005HA-H which comes with a Bluetooth 2.1 + EDR module. 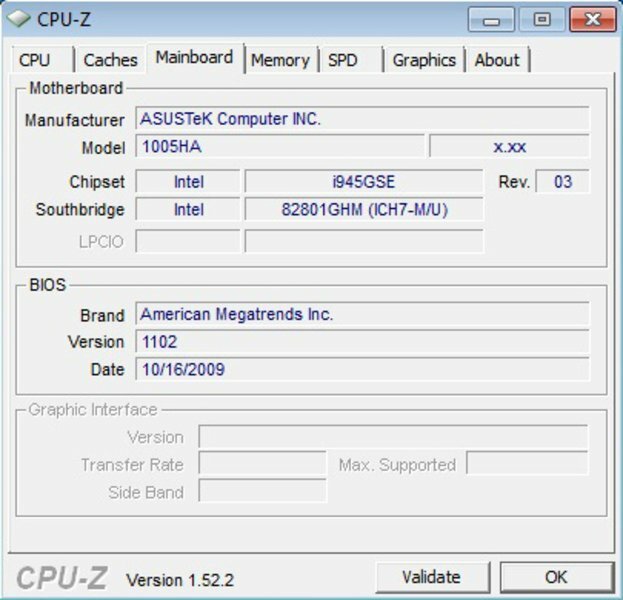 With regards to software, Asus offers only the basic set-up. The Windows 7 Starter (32-Bit) operating system now comes pre-installed; it offers only the most vital functions of Windows 7, leading to a great improvement in loading times for netbooks. Additionally Asus has pre-installed various everyday programs; you will find Adobe Reader 9, E-Cam camera software, Skype, a 60-day trial version of Microsoft Office 2007 (Excel 2007, OneNote 2007, PowerPoint 2007 and Word 2007), Trend Micro Internet Security, some games and several of Asus's own tools which have been specially developed for the Eee range. 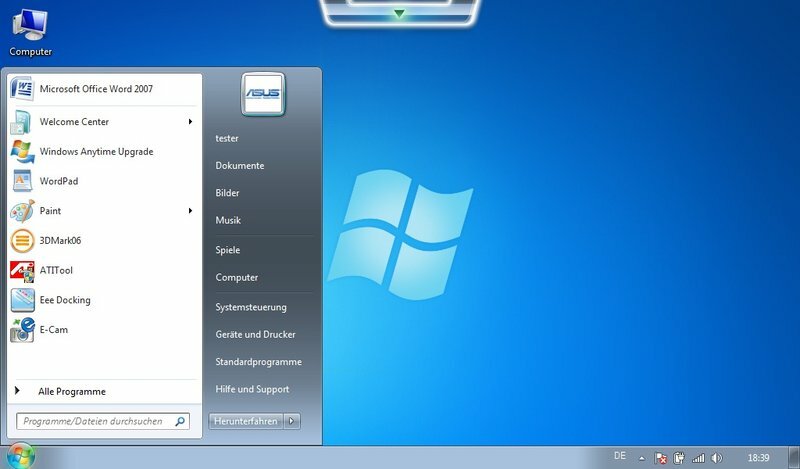 This includes the 'Eee Docking' toolbar which expands at the top of the desktop when required, enabling speedy access to various Asus programs. 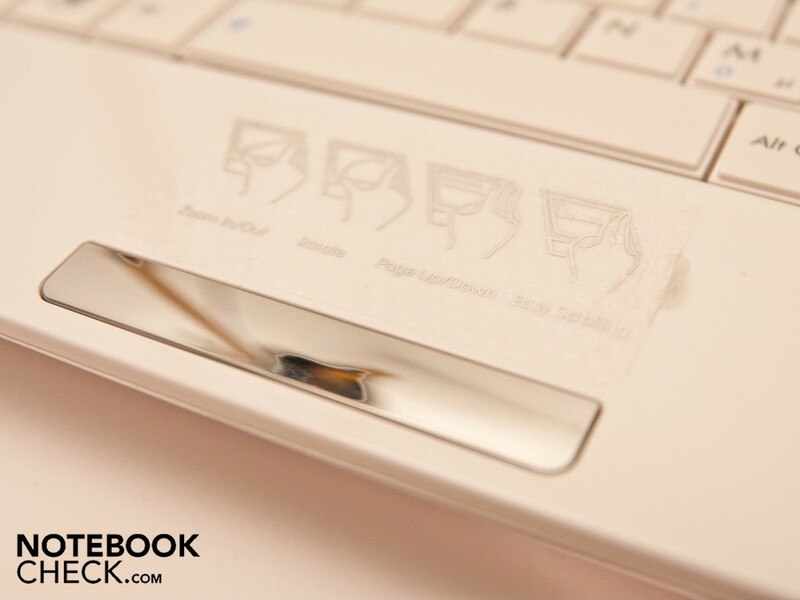 The Asus Eee PC 1005HA-M comes with only the most basic accessories. You get a short instruction manual, a warranty card, a small mains adaptor and cable in the same colour as the netbook, a six-cell battery, and a support DVD in five languages (German, English, French, Italian, and Dutch). If you opt for the slightly more expensive 1005HA-H it will also come with a black silicon Eee protective cover, along with a larger battery which should last for more than 10 hours. You can also purchase extra accessories for the Eee PC 1005HA-M: a spare 6-cell battery (139 Euros), spare mains adaptor (49 Euros), protective bag (25 Euros), charging cable (39 euros), optical mouse (black or white, 29 euros), external 8x DVD Super Multi DL USB drive (79 euros) or a hybrid TV tuner (DVB-T, 4GB USB stick including remote control, antenna and software, 69 euros). The warranty is for 24 months (including pick-up and return service), with a 12-month warranty for the battery. The keyboard makes a good first impression. Compared with the previous version of this netbook, the keys are still a little wobbly but do offer a good firm response to pressure, so that typing feels comfortable. The keyboard layout is as before. The flat, square keys are not the best ergonomically; rounded edges would have been better. The keyboard follows the standard layout. The large right-hand shift key is a big plus, allowing you to touch-type easily; small shift keys often lead to typos. There was no room for a separate number pad, due to the netbook's small size. The Fn functions are marked with light-blue lettering and symbols on the keys; they are activated in conjunction with the Fn key in the bottom left-hand corner of the keyboard. The Fn keys allow access to the usual functions such as screen brightness, volume and WLAN. The touchpad is fitted unobtrusively into the hand rest area, and is very hard to locate by touch, as it is not distinguished by any borders or change in level. 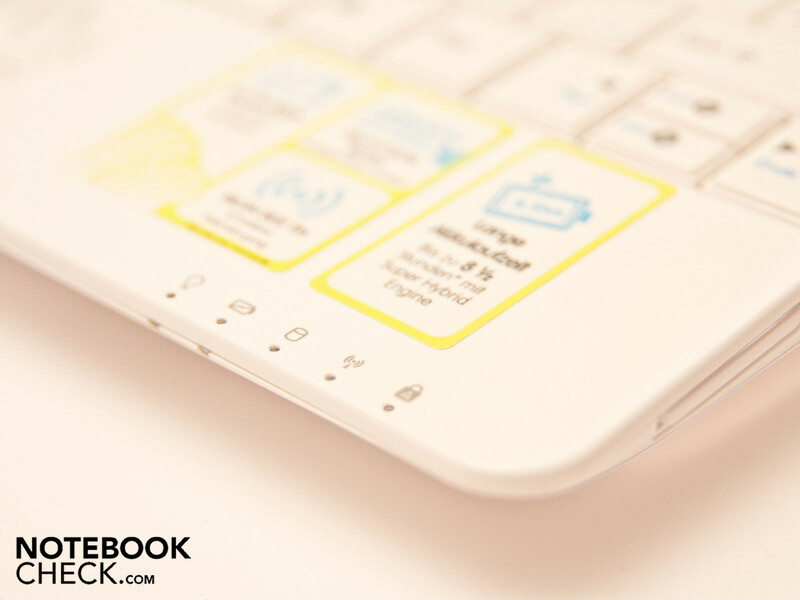 Instead the touchpad has a dimpled surface, which does make it easier to control the cursor accurately. But this kind of surface is not to everyone's taste, and to our mind seems somewhat rough and crude. Despite the lack of borders or marking we had no problem using it to scroll horizontally or vertically, as it supports Multi-Touch gestures. This is a new feature of the touchpad that the previous model did not have. Using two fingers you can perform various actions such as zooming, rotating and scrolling, which makes it easier and more comfortable to work without a mouse. Asus has provided brief instructions for this by sticking a sticker over the touchpad. The two touchpad buttons are housed beneath a silver strip under the touchpad. Both buttons give firm and pleasant tactile feedback. 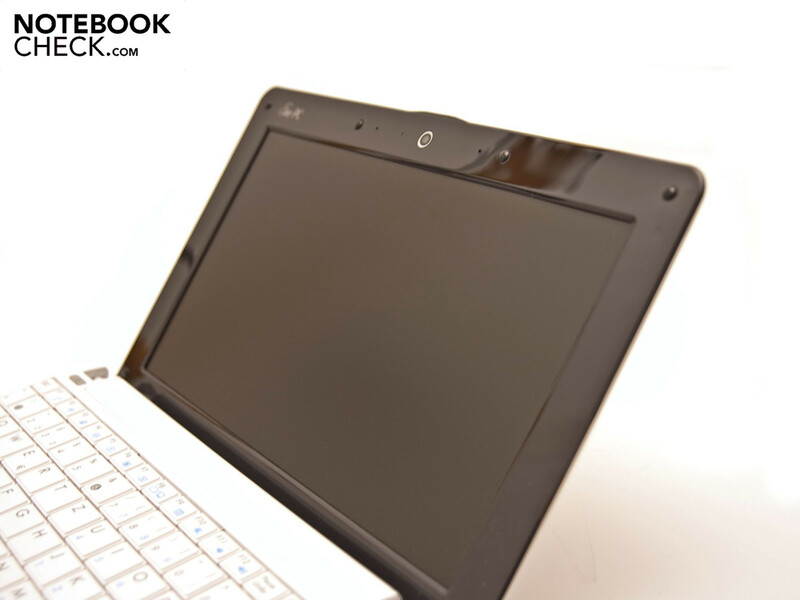 Asus has used a matt 10.1 inch screen with LED backlighting in the Eee PC 1005HA-M, the same as in the previous version. The matt screen surface is a great advantage, as this way only the screen bezel is reflective, making it easier to work outdoors. But with low screen brightness it does become difficult to make out the contents of the screen. It has a native resolution of 1024 x 600 pixels. A higher, interpolated resolution of 1024 x 768 can no longer be selected with Windows 7. 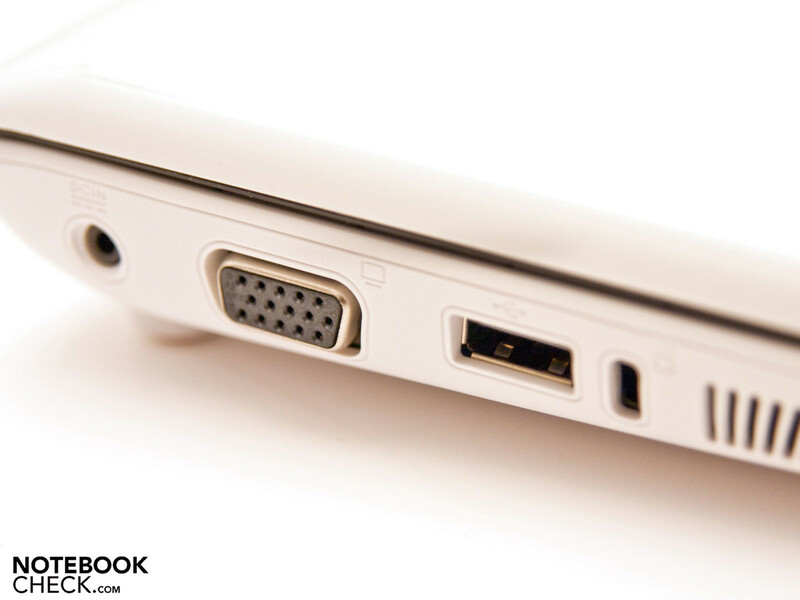 An external monitor or flat-screen TV can be hooked up to the netbook using the integrated VGA connector. The 10.1 inch screen makes a positive impression, although the brightness values are slightly lower than those of its predecessor. On the positive side, it achieves a good uniformity of brightness of 80%, a very good black value of 0.14 cd/m², and a very strong contrast ratio of 1011:1. On the negative side, the brightness of the screen is fairly low overall. It is 130.6 cd/m² on average, ranging from a minimum value of 114.3 cd/m² in the top middle segment to 141.5 cd/m² in the central segment. Using the EeeCTL tool it is possible to unlock some extra brightness and potential from the screen. In 'ultra bright mode' the maximum brightness rose almost 100% from 141.5 cd/m² to an astonishing 263 cd/m². The average brightness with EeeCTL was 237 cd/m² (minimum 210 cd/m², maximum 263 cd/m²) instead of 130.6 cd/m². But while the picture quality was now convincing, the black value rose from 0.14 to 0.29 cd/m², and the battery life decreased as the screen was using more energy. It is up to you whether you would rather have a bright screen or over 8 hours of battery life. However you should consider that the display controller is put under more strain in ultra bright mode. Should a fault occur, the warranty will not cover it. 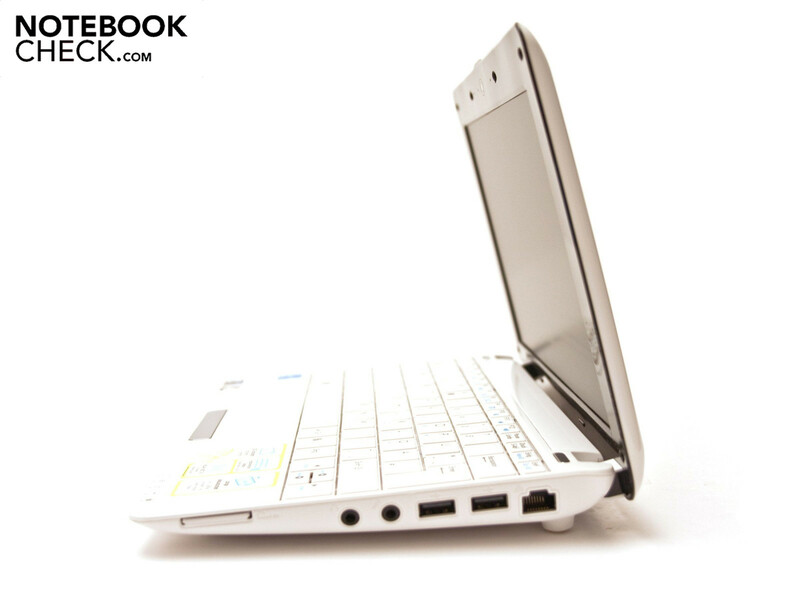 The netbook's viewing angles are unchanged. Horizontally they are fine, but vertically they can only be described as average. 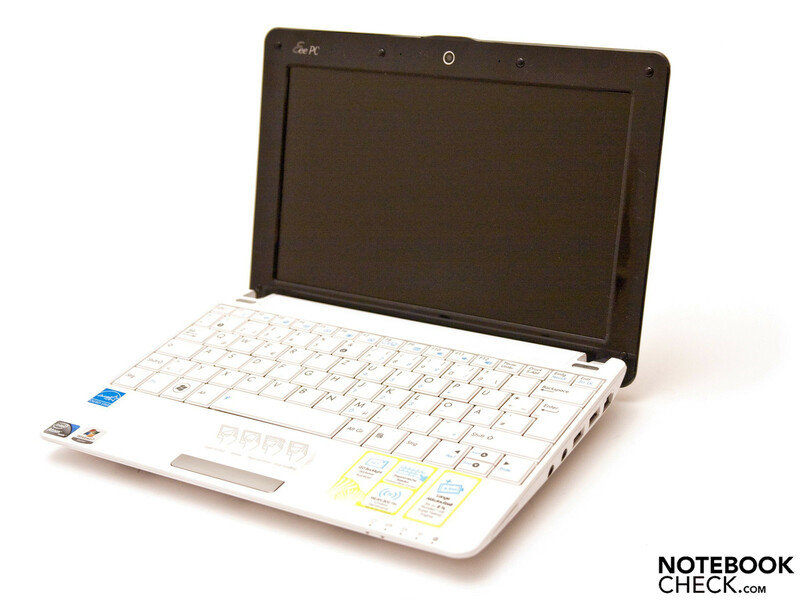 Like its predecessor, this netbook contains an Intel Atom N270 processor with a speed of 1.6 GHz, 512 KB L2 cache and 533 MHz FSB (front side bus). It also has 1 GB DDR2 of integrated RAM. The memory is sufficient even with Windows 7 Starter, but an upgrade to 2 GB would be a good investment, as quite a few applications already stretch the 1 GB to its limits when used in conjunction with Windows 7. 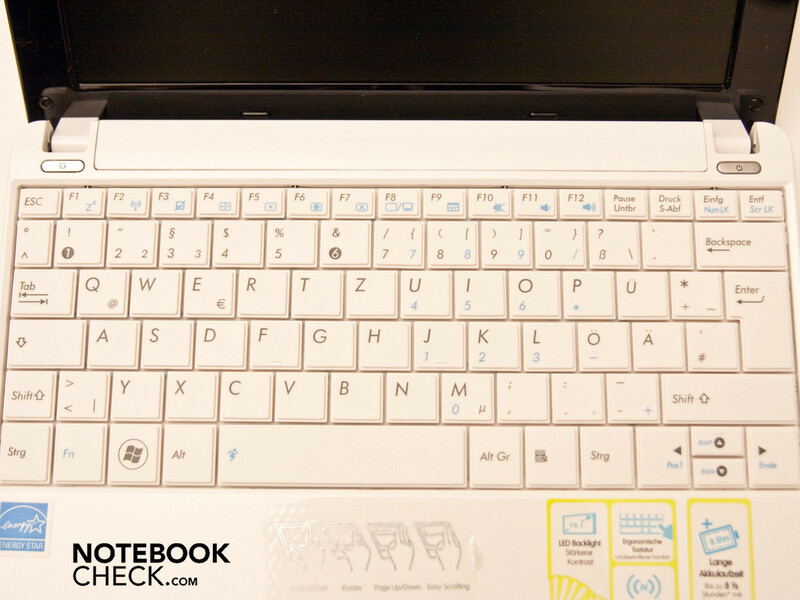 Overall the Eee PC 1005HA-M with Windows 7 is convincing, with its fast working performance during everyday use. 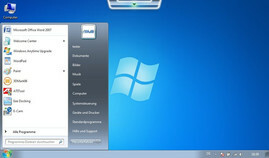 Start-up is quick and Windows reacts rapidly to your commands. 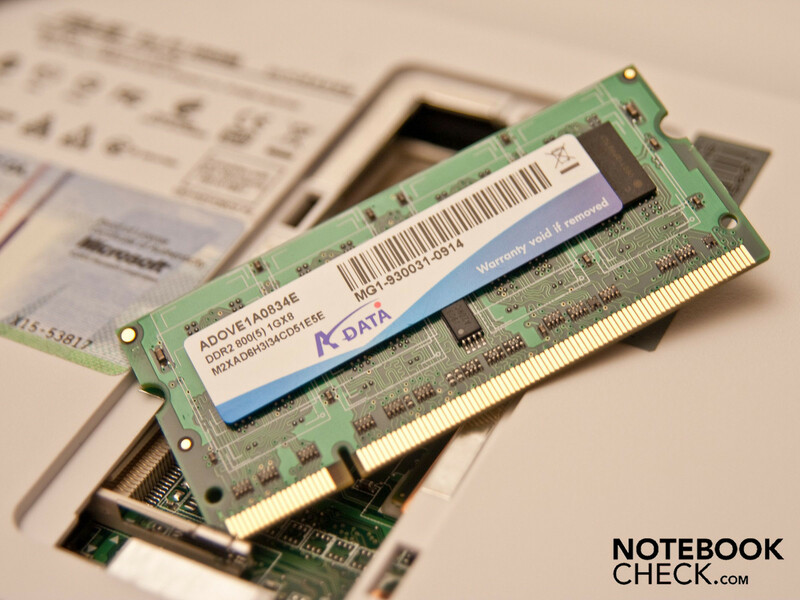 HD films cannot be played completely smoothly with only 1 GB of memory; and when using several programs at once the netbook quickly reaches the limits of its processing power, and loading times begin to rise. But the 1005HA-M is appropriately equipped to handle everyday computer use, barring photo or video manipulation programs. For a performance boost or longer battery life, Asus has included a program called 'super hybrid engine'. 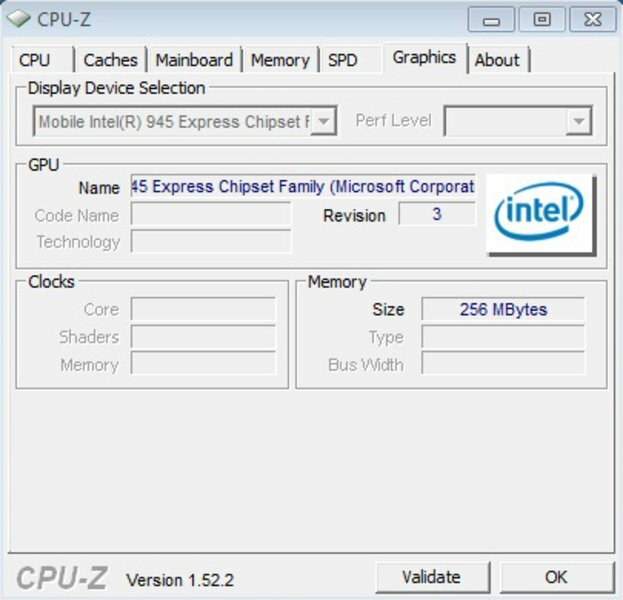 It allows you to adjust the clock speed of the Intel Atom N270. 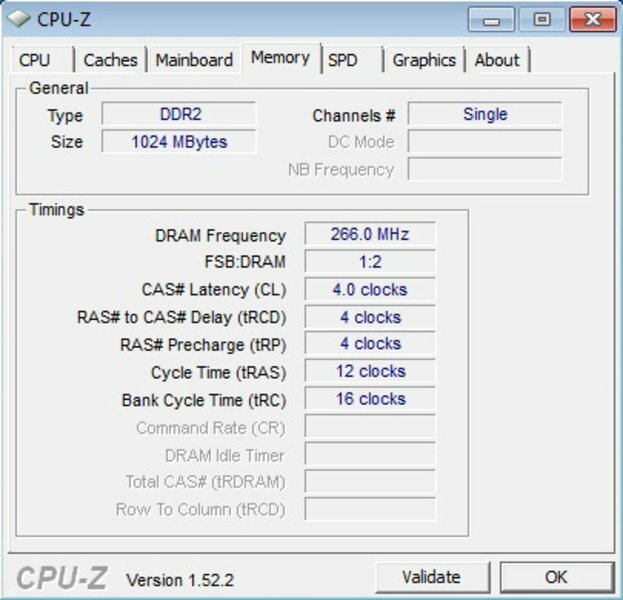 In 'power saving mode' the CPU can be brought down to 1280 MHz and for high performance the processor can be overclocked to 1680 MHz. This raises the N270 to the level of the Intel Atom N280. To distinguish this model from the Windows XP version we subjected our netbook to a battery of benchmark tests. The CPU was running in 'super performance mode' at a clock speed of 1680 MHz throughout. First we put our test model through the 3DMark tests. It achieved 2710 points in the 3DMark 2001 test, and then only a weak 693 points in the 3DMark 03 test. In the 05 and 06 versions it achieved only a very poor 294 and 146 points respectively. In the 3DMark 06 test the CPU achieved an even 500 points. We left out the newest version of the test, as the score would be close to 0. PCMark05 could not be completed without errors. While all the tests ran through to the end as advertised, there were several errors due to the low screen resolution and so a result could not be determined. 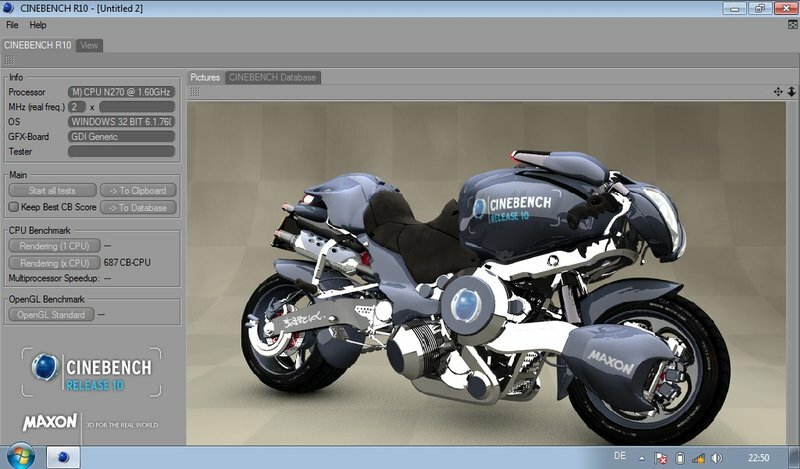 The Cinebench R10 test, which taxes the CPU, did not produce noticeably different results. It achieved only 576 points in the single-core rendering and 883 points in the multi-core rendering. The OpenGL benchmark produced a few crashes, but after several attempts the netbook scored a measly 30 points. It is not clear where the problem lies, but it is very possible that there is still a driver or software problem here. We let the Super PI calculation run to 1, 2 and 32M. The 1M calculation was finished after 89 seconds and the 2M after 199 seconds. The large 32M calculation took a very long 4417 seconds. This can be put down to the low performance level of the hardware, which was not designed for such calculations. It is a similar story with the WPrime test. The 32M calculation took 115 seconds here and the 1024M calculations needed a very long 3650 seconds. The hard drive is a 160 GB LG Hitachi, as before, with 5,400 rpm. 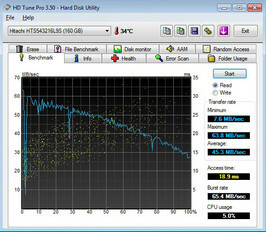 We took measurements using HD Tune Pro. The minimum transfer rate came out as 7.6 MB per second. The maximum transfer rate was 63.8 MB per second, with an average of 45.3 MB per second. The access time was 18.9 seconds and the throughput rate was 65.4 MB per second. This makes the LG Hitachi HTS543216L9S a reasonable hard drive for this netbook, if not particularly fast. 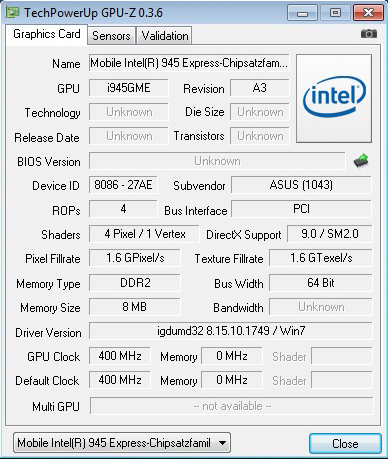 We did not test recent computer games on the Asus Eee PC 1005HA-M, as it is not suitable for graphics-intensive 3D games. Possibly you could play older 2D games, such as the ones tested in this article. 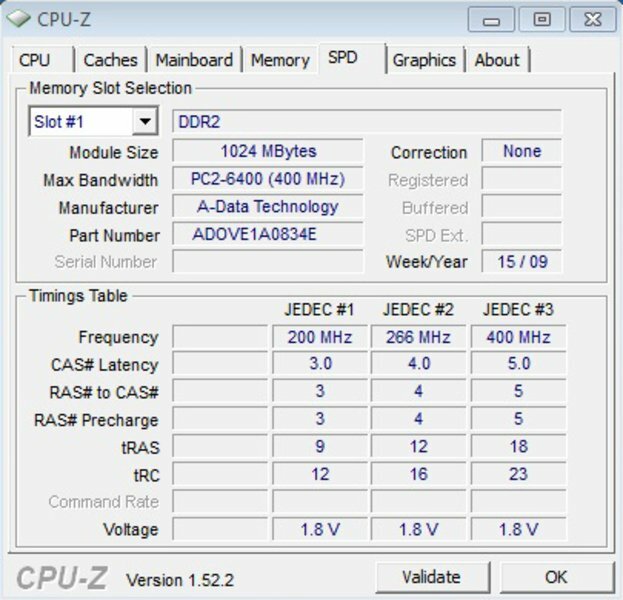 During normal usage the Asus Eee PC 1005HA-M runs almost silently, and is thus very convincing in this respect. However, when used for graphics-intensive tasks, the 1005HA-M becomes noticeably louder. In idle mode the netbook is relatively quiet, from 30.5 to 31.8 dB(A). The hard drive produces a maximum of 32.8 dB(A) when it is reading or writing data. But with heavy use the 1005HA becomes noticeably louder, with a maximum of 41.7 dB(A) during graphics- and CPU-intensive operations. During everyday usage the sound level should not be disruptive, as the netbook is unlikely to be working continually with such a high demand on its processing power. The netbook's temperature measurements were good overall. They were carried out at a room temperature of 22 degrees C. The temperatures on the upper side of the laptop remained within the green zone with a maximum of 33.8 degrees C, although the highest readings were taken in the palm rest area. This should present no problem unless you work on the 1005HA-M for hours on end. However, the temperature in the same area on the underside of the netbook was elevated at 37.6 degrees. This could get uncomfortable if you have the netbook on your lap. The two stereo speakers have been worked almost invisibly into the front edge of the machine. But, as before, they are unconvincing. While they can produce a good level of volume, it is not a pleasant sound. The lower frequency and bass notes are virtually non-existent while the higher frequencies dominate too much. In all, the sound is very leaden and artificial. We would recommend that you use external speakers or a good pair of headphones, as the sound via the 3.5mm headphone jack is a considerable improvement. 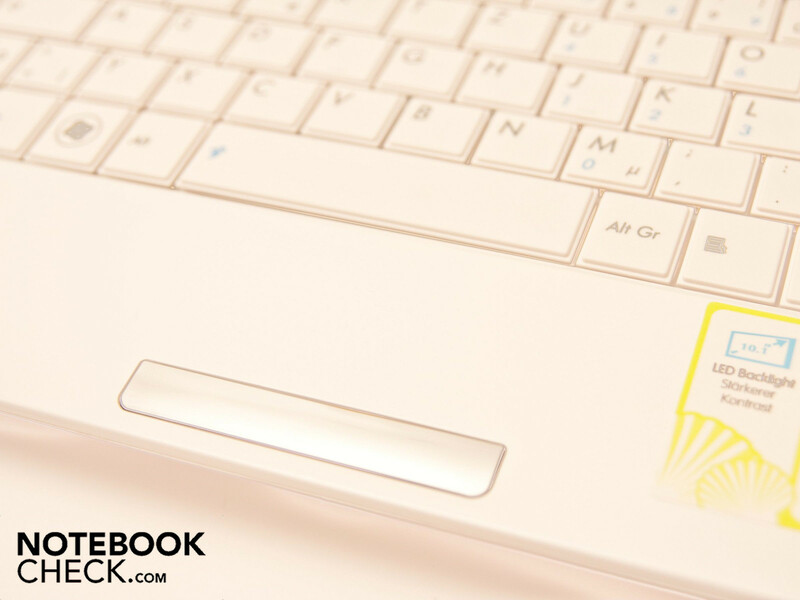 Here we come to the real strength of the Asus Eee PC 1005HA-M - long battery life. According to Asus the maximum battery life is 8 and a half hours, even running the new Windows 7. With minimum screen brightness and all the energy-saving settings selected it gave up after 9 hours and 13 minutes (Battery Eater Readers Test), an improvement of 43 minutes. With maximum screen brightness, a balanced performance profile and using WLAN, the 1005HA-M still achieved a very good realistic time of 7 hours and 5 minutes. As the netbook doesn't have a DVD drive we left out the video test. Under heavy use and with maximum screen brightness (Battery Eater Classic Test) it still lasted for a respectable 5 hours and 28 minutes. Overall the battery life is impressive, and even exceeds the times advertised by Asus. If this is not enough for you, you can turn to the 1005HA-H, which for roughly 50 euros more has a larger battery and can last for up to 10 and a half hours according to Asus. Compared to the Windows XP version of the Asus Eee PC 1005HA-M, this model comes out on top, with even longer battery run times. The battery is a six-cell lithium-ion model (AL32-1005), which works at 10.8 Volts and has a capacity of 4400 mAh (48 Wh). 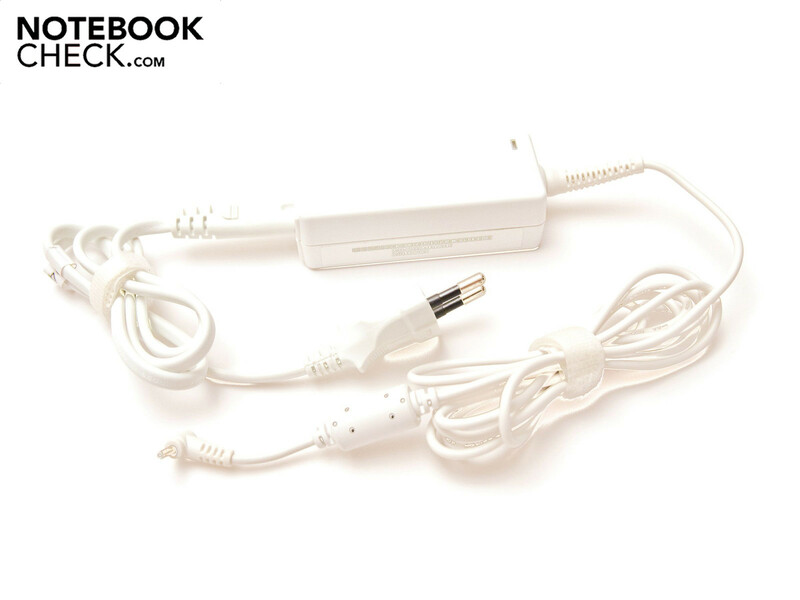 The mains adaptor is included and comes in the same colour as the laptop, and is very smart and small. At only 120g it is nice and light. The netbook's power consumption is a little higher than its predecessor's, at 7.0 - 9.8 Watts in idle mode and 12.0 - 13.4 Watts under heavy use. However this can still be regarded as moderate. 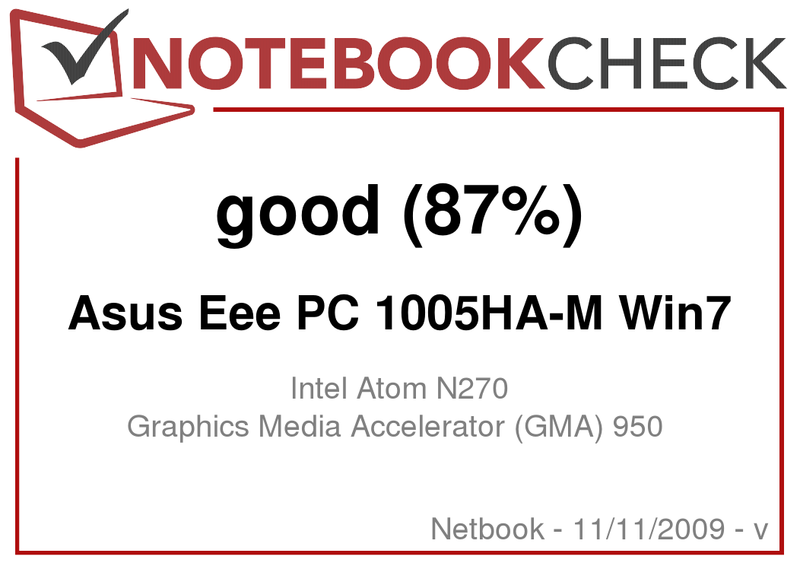 The Asus Eee PC 1005HA-M with Windows 7 Starter operating system stood up well to our testing. The long battery life and low energy consumption are highlights, and at 9 hours 13 minutes the battery life even exceeded the manufacturer's claims. 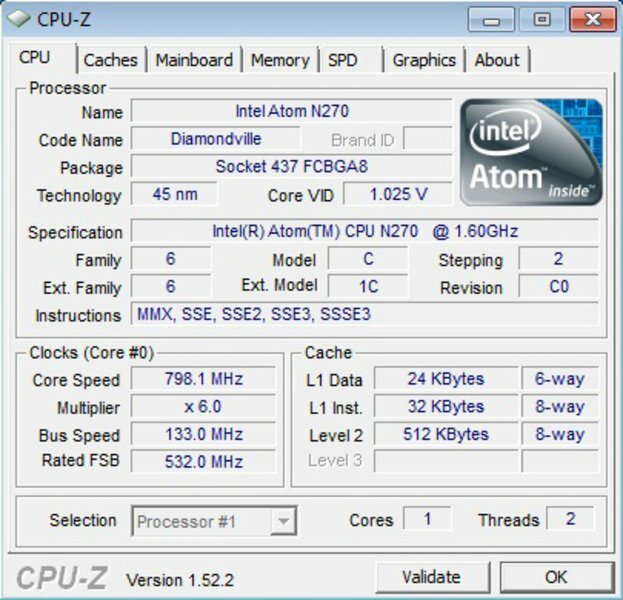 The speed of the system as a whole under Windows 7 and in conjunction with the Intel Atom N270 processor, 160 GB hard drive and 1 GB of RAM is astonishingly good. But, running several programmes at the same time does quickly bring the netbook to the limits of its processing power. 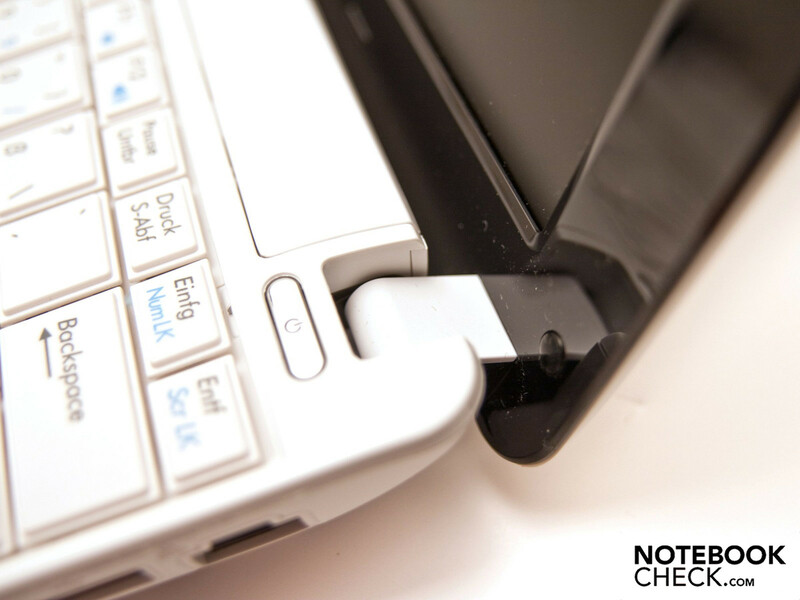 The netbook's good connectivity does not leave much grounds for complaint, other than the lack of a multi-format card reader. The matt screen may not offer a very bright picture or particularly good viewing angles, but the good black value of 0.14 and the high contrast ratio of 1011:1 are positives. The keyboard is pleasant and gives good feedback, but suffers ergonomically because of the flat keyboard style. Noise emissions are within reasonable bounds, but the netbook is noticeably loud under heavy use. The biggest weakness of the 1005HA-M are its poor loudspeakers, which are conspicuously bad even at moderate volumes. One further negative aspect is the touchpad. Although it supports Multi-Touch, which is a bonus for a netbook, it is hard to make out and the surface is not especially pleasant. However this may just be a matter of taste. All in all, we can recommend the Eee PC 1005HA-M with Windows 7 to all those who value long battery life and good everyday performance, but who don't want to do without a smart design. The matt display is also a considerable advantage which is not to be ignored. The very long battery run times which even surpassed Asus's specifications, making the 1005HA-M with Windows 7 the perfect day-to-day companion. Various 10 inch notebooks with Intel N270/280 processors, 160 GB hard drives and 1 GB of RAM, such as the Lenovo Ideapad S10/S12 or the Acer Aspire One D150/D250/531.